Acorn Studio is your friendly, cost-efficient, graphic design firm, that helps you—through smart, attractive design—to communicate your message successfully. 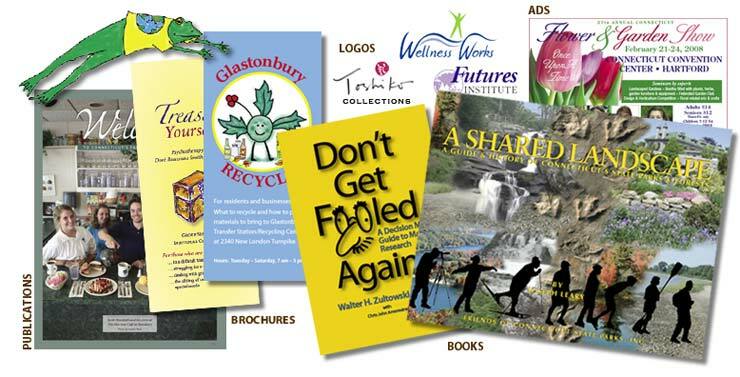 Since 1990 we have been designing print projects of all sizes for small businesses, professionals, non-profits, authors, state agencies, and schools. We design and manage the production of self-published books; booklets and brochures; educational displays, posters and PowerPoint presentations; newsletters; directories; magazines; guidebooks; catalogs; school catalogs and viewbooks; fundraising materials; logos; postcards and invitations. We can help you to complete your project, from soup to nuts, or tackle only the design piece—whatever you need and your budget can afford.